The casino business has been in the United States since the 1950s, and has slowly made its way into states other than Nevada. Racetracks have been around for over 100 years. However, many gaming lovers have been a little frustrated with the growth of other forms of gambling in the United States. While citizens in Australia, Canada, and Western Europe have enjoyed many different forms of gambling, people in the United States have not been able to. For example, Canadians have been able to gamble online for years. 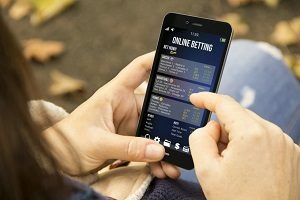 People in the United Kingdom are able to place sports bets via mobile phone. While to some people in the US think that the pace of gambling has gone very slowly, there are signs that the pace of gambling has accelerated in recent years. This is especially true of online gambling. Research indicates that the market continues to increase in all areas of online gaming such as sports betting, poker, and casino games. A lot of the expansion in online gaming has been quiet. While many people believe that online gambling is moving at a snail’s pace, online horse wagering is currently available in 30 states. There are two main providers for online horseracing, TVG by Paddy Power Betfair and Twin Spires through Churchill Downs. Currently, online sports betting are available in a small number of states, but more states are in the pipeline to create it. Now, gamblers can place online sports bets in Nevada and New Jersey, but Pennsylvania, Delaware, and West Virginia are readying to offer online gambling in the next few months. Researchers estimate that states will continue to roll out online sports betting—some estimate that as many as 25 states will have sports gaming in the next five years. A large number of those states will offer online gambling for sportsbooks. Four states offer online casinos and online poker. 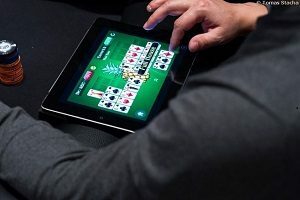 Experts have said that there are a couple of reasons why online casino games and online poker games are lagging behind other forms of gambling. One reason is that the offshore gaming is very popular across the United States. Economists think that the illegal gambling economy on offsite games is at least $100 billion yearly. All of the offshore sites that Americans use to gamble do not pay taxes in the US, and are not subject to US laws. This presents a problem for customers who may have a problem with an offshore casino because they cannot sue for damages. In addition, the government is missing billions of dollars in potential revenue. Second, many casinos have been opposed to online gambling, because they feel it will take away their revenue. While some people believe that gambling is growing at a snail’s pace, in actuality, online gambling is growing, quickly and quietly. If daily fantasy sports sites, such as FanDuel and DraftKings are counted as a form of gambling, the growth is even higher and faster than expected. With the legalization of sports gaming in states across the country, the pace is only expected to accelerate. 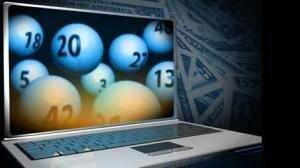 Americans who love to gamble may get their wish sooner than expected, especially if they love to gamble online.